All Kingston homes currently listed for sale in Kingston as of 04/22/2019 are shown below. You can change the search criteria at any time by pressing the 'Change Search' button below. If you have any questions or you would like more information about any Kingston homes for sale or other Kingston real estate, please contact us and one of our knowledgeable Kingston REALTORS® would be pleased to assist you. "This unique property just minutes from Kingston~s quaint Main Street offers an exceptional value for 5+ partially-wooded acres which include a four-bedroom home, four-car detached garage with a walk-up loft, two 8~ x 10~ sheds, and a play area with a swing set. The meticulously maintained home boasts a large, wood-burning fireplace which faces the living room and sunroom, both of which enjoy beautiful woodland vistas. Wide plank hardwood floors add character in the sunroom and dining room. This home offers the flexibility of a main level bedroom, which could alternatively be used as an office, library or guest room. Upstairs you~ll find three spacious bedrooms, each with spectacular views. Enjoy time outdoors on the brick paver patio overlooking the manicured yard and play area. 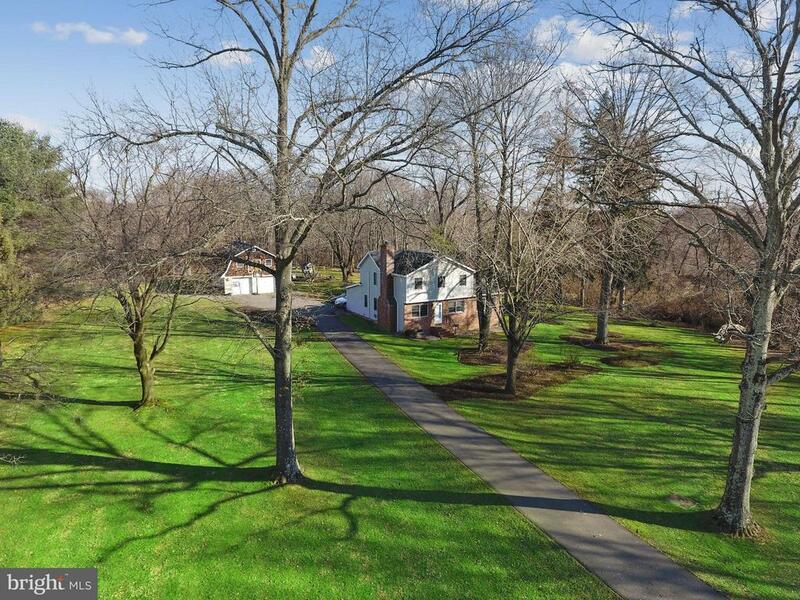 Just a quick drive puts you in downtown Princeton or on the Route 1 corridor, or stay closer to home and spend time hiking or jogging the trails along the Delaware Raritan Canal."